Personalised with an oversized, vintage-style luggage label and tied with a gorgeous red ribbon, this authentic wicker hamper isalmost overflowing with a fantastic assortment of old school classics but also includes a great range of Fun Gums. A tasty, tantalising, treat to tempt! The ideal gift for any occasion. Total weight of the hamper is approximately 970g This is comprised of 735g of sweets, plus the weight of the hamper. Contents may vary but will include a combination of some of the following: 500g assortment of old school classic sweets that includes Love Hearts, Refreshers, Drumsticks, Fun Gums, Parma Violets, Double Dip, Double Lollies, Fizzers & Fruity Pops. A great fun product well priced and packaged. I was very pleased with this hamper, both with the amount of sweets for the price and the lovely way it was packaged. The delivery was also quick. Please can you help me !! My brother is 40 in a few weeks and I really want to order a hamper of retro sweets for him ! 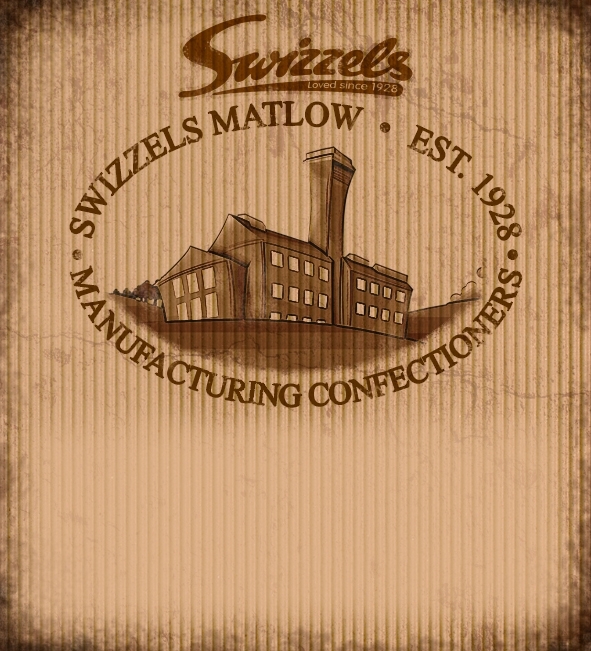 We grew up next to the best sweet shop for miles around and he as I have very fond memories of Swizzels Matlow sweets. Is it possible to make up a hamper 970g personalized as advertised which includes 'Black Jacks and Fruit Salads Please please please ?? I regret to inform you that we are not the manufacturer of Black Jacks and Fruit Salads.